Roberto Nesti graduated in architecture from the University of Florence in 1982. His activity includes architecture, interior design, industrial design, and writing. Since the 1990’s he has collaborated with the Smithsonian Institution, the Duracell Group, and several industrial design companies. 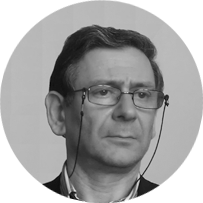 He has had several professional experience in the following countries: Russia, Hungary, Czech Republic, France, USA. He taught interior design at SACI in Florence from 2004 to 2007. Since 2008 he teaches and coordinates the Sketching and Drawing course at the Kent State University in Florence.